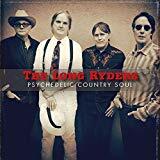 Psychedelic Country Soul is ranked 3rd best out of 4 albums by The Long Ryders on BestEverAlbums.com. The best album by The Long Ryders is Native Sons which is ranked number 14109 in the list of all-time albums with a total rank score of 93. Members who like this album also like: Mulberry Violence by Trevor Powers, Kelly Lee Owens by Kelly Lee Owens and Panda Bear Meets The Grim Reaper by Panda Bear. Related links: top tracks by The Long Ryderstop tracks of the 2010s, top tracks of 2019. Showing latest 5 ratings for this album. | Show all 19 ratings for this album. More than 30 years after their last album, The Long Ryders pick up where they left off. "Psychedelic Country Soul" is a strong record that can be enjoyed by anyone who appreciates Tom Petty, The Byrds or The Jayhawks. Like a poor Tom Petty tribute? No, that's too harsh. They sound like a house band at a good bar, just pumping out those tunes. You can guess lyrics a couple of lines ahead, which is never a good thing.